2019 WORLD FINALS - new announcement - SADDLES will also be given in the open jackpot this year making our saddle total for 2019 finals in Lincoln, NE 12!! 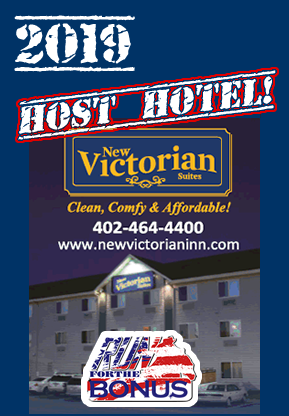 (5 open jackpot - 5 bonus race - 2 amazing race - plus 50 buckles - plus MANY more amazing prizes!!) 2019 World Finals Open Jackpot (open to everyone). 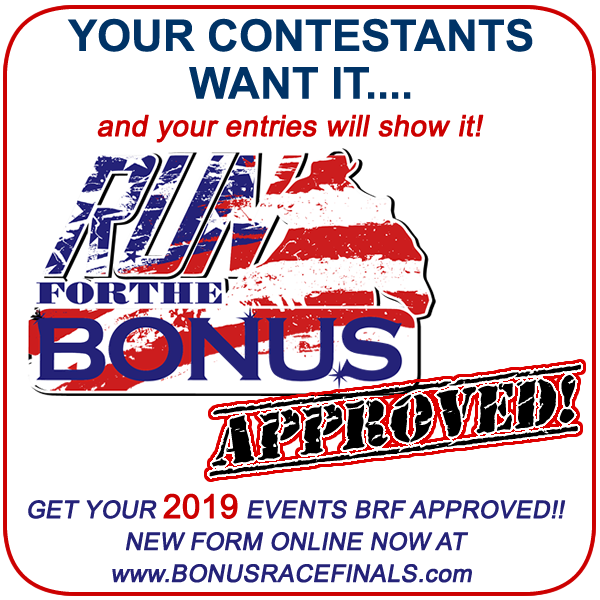 To be eligible for entry in the Bonus Race you must have won an id# at a 2018 approved event OR qualify ON SITE from the open jackpot. *NEW THIS YEAR (not announced in video) in an effort to "break up" the online entry process we will open entries May 1, 2019 7:30 pm (CST) to the top qualifiers from 2018 (those who earned 6 or more qualifiers in 2018). Phase 3 entries will open Monday, May 13 at 6 pm (CST) open to the world! Contestant qualifying is from Jan 1, 2019 - Dec 31, 2019. RIDER must WIN a qualifier id# at an approved event to be eligible for entry in the Bonus Race. There is also an OPEN JACKPOT with $10,000 added at our finals (open to everyone). Contestants will have a chance to qualify on site in the open Jackpot in the Thu-Fri-Sat sessions. No MEMBERSHIP FEES - every rider uses a unique id# when entering; First initial, Last Name, Month and Date of birthdate. (EXAMPLE RENEA BOLLING, OCT 13 = member id # RBOLLING1013. An FREE MEMBERSHIP sign up and id generator will be online early April. Make sure you stop back and sign up!